The danger of writing at the library is that I rarely leave without grabbing a few books from the “New Books” section, no matter how many books are waiting at home. The Little Shop of Found Things was one such find and I’m so glad I picked it up. Read on to learn more about this book that blends historical fiction and fantasy. This post contains affiliate links. An antique shop haunted by a ghost.A silver treasure with an injustice in its story.An adventure to the past she’ll never forget. The story continues in October 2019 with book two in the Found Things series, Secrets of the Chocolate House. The Little Shop of Found Things is the start of a new series by author Paula Brackston. (However, it works well as a standalone if series and cliff hangers put you off.) It’s a lovely blend of historical fiction and fantasy/magical realism (and time travel) set in a pretty little village in England. I confess that I’m a bit of a sucker for books set in/about items discovered in antique shops. Combining this with magical realism (another favorite) and I’m downright giddy – and this book deserved my enthusiasm. This was an easy read that was impossible to put down. The hook in this book is Xanthe’s gift: when she touches an object, she gets a sense of its past. (I find this a handy gift for someone working in the antique business!) Additionaly, she has a secret in her recent past that seems to have had an impact on her, making her character all the more interesting as you try to wile out what it is. An object she touches sparks a strong pull. It turns out the object is tied to a ghost that has been wandering the shop for centuries, who sends Xanthe on a pretty daring adventure back into history. Brackston’s detail for history and skill with building atmosphere and setting pulled me into the story. 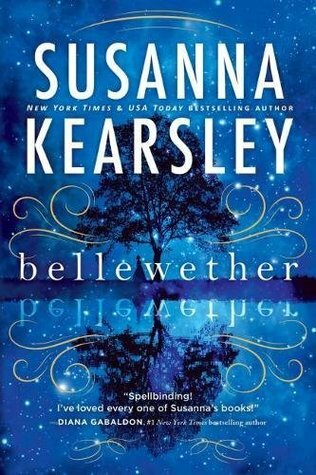 She skillfully weaves elements of mystery and even a bit of romance into the tale. Her prose is lovely, and the story unfolds slowly. 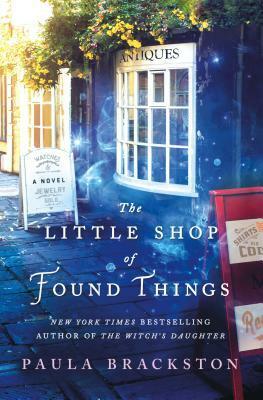 The Little Shop of Found Things is loaded with tension and suspense, thanks to the ghost who ties Xanthe’s success to the fate of her mother. Xanthe was a well-drawn character, and the quaint village and its residents were lovely and interesting. On the other hand, the ghost was really quite nasty and I’m not entirely clear why she needed to be. I also loved that she doesn’t overlook some more obvious details that annoy me in some time travel books. Obviously, Xanthe doesn’t dress or sound like people from that era. (A girl wearing Doc Martens and peasant blouse with a modern English vocabulary is bound to stand out.) Brackston cleverly works this into the story instead of ignoring it. Finally, the ending was well done, if not a little bittersweet, and I was sad to turn the final page. I’m thrilled that this is the start of a new series as I’m looking forward to what else Xanthe discovers in the shop she and her mother share. Check out The Little Shop of Found Things on Amazon or find it at your local Indie bookstore!